Did you check if the MD5 and SHA codes, as published on sourceforge totgether with the installer, are correct? Is it possible to get the dll seperately from a website? Thas is strange. 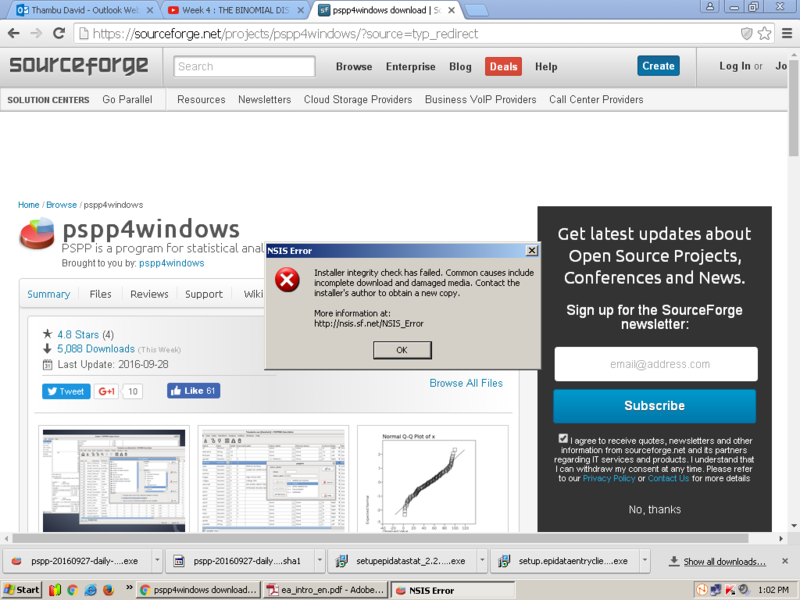 The installer on sourceforge definitley includes the dll you mis and installs it on my test system. This 2016-0-9-27 32 bits installer is downloaded over 7000 times without other complains. So I assume there is a proces on your computer which renames or removes the dll. There might be an antivirus programma which gives a false positive and renames/removes the file. Is it possible for you to try it on another 32 bits MSWindows system? If so you can copy the dll and place them in the pspp/bin directory. I tried what you suyggested but still have the problem? Stating the Operating system, installer version (date) you use and a text or jpg/png file of the error would definitely help to get a quicker answer. It seems you are using MSWindows XP but I have no idea which version of the installer. I tried with the 2016-09-27 version and this version doesn´t have this problem. I also don´t see any reason why other versions would have this problem. It looks to me that somehow the dll was removed from your system. I advise removing the pspp software, or just delete the whole pspp directory, and reinstall the latest version. While using the 32 bit installer i am getting this error?